Every 240 milliseconds, the Travel Commerce Platform processes a secure transaction. That is 3 billion transactions a day and 900 billion a year at its peak. 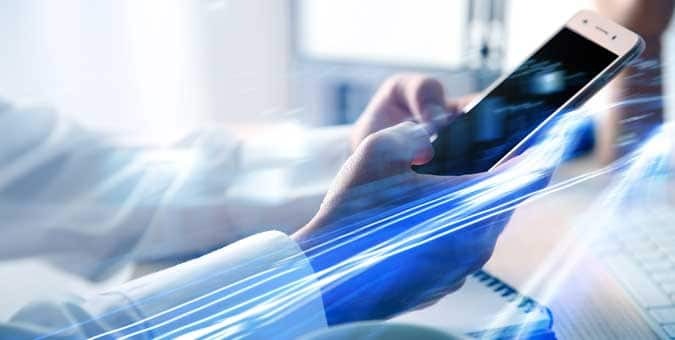 This same GDS provider has forecasted that in the future, 70% of transactions will turn mobile and making the need for seamless, quick and accurate website functionalities ubiquitous and paramount. It is no secret that businesses must do more to captivate their customer than they historically have, and that the road to repeat business is met with a long list of customer demands. In turn, it is becoming increasingly necessary that travel companies join other online retailers in providing instant shopping results. Without these functionalities, they risk losing customer interest, mindshare and wallet share. On average, the time to load a travel site is 5.7 seconds and for every second search results delay, there is a 7% conversion loss. Through machine learning, API optimization, and intelligent caching, Travelport is driving down search response times to fight conversion loss and preventing page abandonment. Machine Learning is a subset of artificial intelligence that uses statistical techniques to "learn" in parallel with the travel data, and improving performance on a specific task without being programmed to do so. This intelligence enables Travelport to get rid of any waste and unnecessary functions that slow down search response. Intelligent Caching stores relevant information like flight price from previously searched data so that the system does not need to enact the same process again, unnecessarily demanding more power from the platform. Implementing this significantly improves response time because the billions of requests per day receive quick responses from pre-stored information that is ready to use. Customer insight and intelligence is also gained through caching because the data stored is analyzes booking patterns to influence future results for a quicker and more relevant and personalized user experience. Travelport is configuring search engine APIs to mobile devices helping deliver accurate information in a timely manner. The competition for speed is not just from other travel websites but text messages, emails, instant messages, web searches, and app saturation. Through optimized API's the search response time is accelerated distributing the content directly from search engines not unnecessary network infrastructures. Travelport's Universal API supports pagination and asynchronous streaming results as well. Pagination results are when a few results are shown and the user can decide whether to view more by clicking the "next" or "more" button. This improves speed because less results are shown on each page. Asynchronous results functions by showing results as they load rather than a wait screen to capture the users' attention. Each of Travelport's capabilities lowers the search response time by accelerating different aspects of the travelers booking experience. Online Travel Agencies can leverage this powerful technology by integrating it into their software as the platform works to meet and exceed the needs of travelers now and in the future. Chetu developers are experts in the Travel Commerce Platform and their Universal API. All of Travelport's' functionalities can be implemented, integrated, configured and upgraded to meet your business needs whilst maintaining the content and capabilities of your third-party proprietary software. Chetu has worked closely with this caliber of technology for over 18 years gaining experience in a range of software, including those of online travel agencies (OTA) and global distribution systems (GDS)'s. If you are an online travel agency wishing to switch to mobile, improve your mobile app or accelerate your website speed you can simply integrate to Travelport's platform to prevent conversion loss. Request a consult with Chetu and we will walk you through the steps to effectively integrate with Travelport.